Grapevine Group Campground is located on the southern end of the largest lake in central Arizona, Roosevelt Lake. There are nine camping loops with toilets, a central shower building, playground, event area and sports field. Lake access trails begin in camp and a paved boat launch ramp is just a few steps away. Each campsite has a fire ring with grill and a table. In the event area, there are shade ramadas, tables, showers, toilets and water spigots which are fully accessible. Roosevelt Lake produces trophy bass among other fish species which include crappie, sunfish, flathead and channel catfish. Other wildlife can occasionally be seen including deer, snakes, coyotes, javelinas and the rarely seen black bears. Prepaid reservations are required. To make reservations, call the Tonto Basin Ranger District at 928-467-3200. 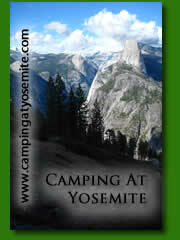 Each camping loop can accomodate up to 100 campers for RV or tent camping. Each loop has water and toilet facilities, 13 - 25 individual campsites and parking for 30 - 40 vehicles. A sewage facility is located across from the Cholla Recreation Site on State Hwy 188 at mile marker 249. From the Phoenix area, travel east on Shea Blvd. through Fountain Hills to the Beeline Hwy (Hwy 88). Turn Left on the Beeline Hwy and travel north to the Roosevelt Lake Turnoff (Hwy 188). Turn right and follow Hwy 188 for 40.5 miles to FR 84 / Group Site. Turn left onto FR 84 and drive 2 miles to the campground. From Mesa, take Hwy 87 north 60 miles to the Roosevelt Lake Turnoff (Hwy 188). Turn right and follow Hwy 188 for 40.5 miles to FR 84 / Group Site. Turn left onto FR 84 and drive 2 miles to the campground.